Consumers’ interest in accessing their genetic information has boomed, as companies bring increasingly affordable consumer genetic and personal genomic testing services to market. With more testing services available than ever before, it is estimated that more than 12 million consumers have signed up in recent years to explore the insights that can be drawn from their genes. Carson Martinez, Future of Privacy Forum (courtesy Ms. Martinez). With many of these genetic testing services, individuals can share their genetic data with academic researchers or pharmaceutical researchers, and after reviewing an informed consent notice on potential risks, many choose to participate. By providing the research community the ability to analyze significantly larger and more diverse range of genetic data, individuals have helped researchers discover important breakthroughs in biomedical research, healthcare, and personalized medicine. If consumers are to safely share this information, the sensitive details revealed by genetic data need to be safeguarded by companies. Genetic data is one of the most intimate types of information, as it may be used to identify predispositions and potential risk for future medical conditions, and may reveal information about and even implicate an individual’s family members, including future generations. And as we have seen in recent cases like the Golden State Killer, it also can be used as a powerful investigative tool by law enforcement. Although laws such as the Genetic Information Nondiscrimination Act of 2008 protect against discriminatory uses of genetic data by employers and health insurers, consumers also need to be certain that companies will respect the privacy of their genetic data and give them strong controls over how it is used and shared. With this in mind, I and other speakers will be discussing the privacy of personal genetic information at the ASHG 2018 Policy Luncheon, taking place Thursday, October 18. As a think tank focused on helping chief privacy officers navigate privacy challenges and incorporate ethical data practices, the Future of Privacy Forum (FPF) believes that emerging technologies like consumer genetic tests are valuable, but that protecting individual privacy is core to the success of any industry. In this nascent industry, there is a need for strong guidelines. To that end, FPF together with 23andMe, Ancestry, Helix and other leading consumer genetic testing companies released Privacy Best Practices for Consumer Genetic Testing Services this summer to develop a policy framework for the collection, use, and sharing of consumer genetic data. Privacy best practices for consumer genetic testing services (Courtesy Ms. Martinez). requires notice and consent for material changes to the policy and transfer of ownership, among others. The Best Practices is supported by: Ancestry, 23andMe, Helix, MyHeritage, Habit, African Ancestry, FamilyTreeDNA, and Living DNA. Carson Martinez is a Health Policy Fellow at the Future of Privacy Forum and leads FPF’s Health Privacy Project. To learn more about the Best Practices, attend the Policy Luncheon at the ASHG 2018 Annual Meeting in San Diego. As the Genetic Information Nondiscrimination Act (GINA) turns ten, ASHG caught up with Daryl Pritchard, former ASHG/NHGRI Genetics and Public Policy Fellow, to discuss his time in Rep. Louise Slaughter’s office working on the passage of GINA and her legacy as the woman who championed genetic information protections in Congress. ASHG: Trained as a geneticist, how were you able to work in Rep. Slaughter’s office? Daryl: The opportunity came through the ASHG/NHGRI Genetics & Public Policy fellowship. The fellowship really opened doors for me. It was how I got to see all of the passion Rep. Slaughter had for genetics and science. ASHG: What was your role in Rep. Slaughter’s office? Daryl: I was the first fellow and needed to find an assignment on Capitol Hill, and was drawn to Slaughter’s office because of the GINA legislation. GINA was a personal priority for me and something Congresswoman Slaughter was deeply passionate about. I took on the role of Health Legislative Assistant that year. As a geneticist, I could contribute to public understanding of the bill, translating the law’s benefits into layman’s terms. Beyond GINA, I would handle any scientific or health policy issue. GINA was the primary reason I was there, but other important health issues were also on the docket. ASHG: What was your involvement with GINA while working in Rep. Slaughter’s office? Daryl: It was pretty intense. The bill had first been introduced in 1995 and I was there in 2003. She needed to gain her colleagues’ support for the legislation and educate other members of staff and the public about its importance. So I drafted talking points for public communications and ‘Dear Colleague’ letters to drum up support from her fellow members of Congress. I would represent Louise at various visits and would promote her vision of protections for the American public against genetic discrimination. ASHG: Why do you think the passage of GINA was so important to her? Daryl: She often talked about being the only microbiologist in Congress and being a scientist early in her career. She recognized the importance of scientific research for health and realized that without adequate protections for patients and research subjects, there would be a lingering fear or reluctance on the part of the public to get testing. This, in turn, would stifle the advance of health discovery and the incorporation of genetic information into care. She had a second motivation as a patient. A clear influence was the death of her sister from pneumonia despite being in doctors’ care. Louise knew genetics was key to improving health, but that if genetic information were used by employers or health insurers, there was a possibility for that information to qualify or disqualify one from coverage or benefits, hiring or firing. ASHG: What can you tell us about Slaughter’s reaction to the passage of GINA? Daryl: Louise was really pleased. A lot of hard work, dedication, and time had gone into its passage. To finally get GINA approved as a bicameral and bipartisan piece of legislation reflected her tireless efforts to advance the bill. Referred to as the first civil rights legislation of the new century, it was so necessary for the American public. She believed it was a no-brainer that it should be passed. She congratulated then-President Bush and her colleagues for bringing it to fruition. ASHG: Ten years after its passage, how can the genetics community help ensure that GINA is implemented as intended? Daryl: GINA is a great victory for patients and scientists, and you can expect that employers and insurers will continue to challenge it. The genetics community should look at challenges as they arrive and defend the law for its original intent. A key thing to keep in mind is that GINA prohibits even the collection of information by health insurers and employers. Lingering fears about genetic discrimination do not come from a fear of employers’ or insurers’ good intentions, but rather from a concern that genetic data could be exploited or misused. The genetics community should continue to oppose collection of genetic information by employers and health insurers. ASHG: How is the passage of GINA an example of the impact that the ASHG/NHGRI fellowship has on advocacy? Daryl: The fellowship promotes the advancement of research and the importance of genetics and genomics. Its impact is far-reaching, and GINA is just one example. Many bills before Congress have a need for genetics and genomics expertise. It is essential that the science is accurately represented in those conversations. The ASHG/NHGRI fellowship brings the voice of genetics and genomics to legislation and needs to continue to do that by having a presence in different congressional offices. We need to be there. I appreciate the opportunity to have been the first fellow. The experience has been influential in advancing my career. Daryl Pritchard, PhD, is Senior Vice President of Science Policy at the Personalized Medicine Coalition. He worked in Rep. Slaughter’s office in 2003 through the ASHG/NHGRI Genetics & Public Policy Fellowship. Through such Commentaries, AJHG encourages individuals in the genetics community to share their personal views on a policy issue. Distinct from journal editorials and official ASHG statements, it is our hope that these commentaries will help spur discussion within the field. AJHG: How did you become interested in this topic? Barbara: Last summer, I was getting a lot of calls from research participants who were having trouble exercising their HIPAA right of access to their own genomic data. The HIPAA Privacy Rule is a U.S. federal privacy law. It grants people a right to obtain copies of data about themselves that is stored at HIPAA-regulated facilities. Since 2013, the Privacy Rule protects genetic data and, since 2014, its access right extends to data stored at HIPAA-regulated labs. People heard that they have a right to see their data, so naturally they wanted to see it. Many were being told “no.” Law professors play an informal role as society’s help line for questions about the laws we write about. I write about HIPAA, so I’m like the canary in the coal mine if a new HIPAA problem is emerging: my phone starts to ring. I checked around, and other HIPAA lawyers were getting those same calls from frustrated research participants. “Strange…why now?” we wondered. It seemed worth looking into—which, for a Law Prof, means you write an article. This is the article. AJHG: What about this topic most interests/concerns you? Barbara: Regulatory lawyers are like primary-care docs: when someone shows up with a regulatory problem, you order a battery of diagnostic tests. The first test you run is to trace back in legal history till you find the statute (the Act of Congress) that gave rise to the regulation. Like most people, I always assumed that HIPAA’s access right must flow from the HIPAA statute. That’s true, but with a fascinating twist. As it relates to genetic information, HIPAA’s access right flows from a mandate Congress laid down in the Genetic Information Nondiscrimination Act of 2008. It’s a civil right! That fact has impacts that my commentary explores. What concerns me most? Under the U.S. system of law, one of the worst ways things can go wrong in a democracy is if government agencies, which are supposed to protect people, take actions that deprive people of their civil rights. Your right under HIPAA to see your own genetic information is a federally protected civil right. That limits the range of actions regulators like the U.S. Food and Drug Administration and the Centers for Medicare and Medicaid Services, which regulates clinical labs, can take to block people’s access to their own genomic data. My commentary hopes to spark a dialogue about ways to address valid safety concerns about individual data access, without violating people’s civil rights. AJHG: Tell us a bit more about the bigger picture—for scientists and the general public. Barbara: Using people’s genomic data in research offers huge benefits to society, but it exposes people to privacy risks and other threats to their civil rights. Dating back to the dawn of the information age in the early 1970s, Congress has approved policies that let researchers use people’s data to advance public health and research. The quid pro quo is that Congress has consistently stood by the idea that if researchers have broad access to your data, then you should have broad access, too. Doesn’t that seem fair? People who want to block individuals’ access to data need to appreciate that, over the past 50 years, Congress gave this matter a lot of thought and commissioned multiple ethical analyses. What they found is that if you want to take people’s access away, you can do so. But in return for taking people’s access away, you would then need to severely curtail researchers’ access to people’s data as an alternative way to protect people’s civil rights. So which world do you want? In World 1, researchers and people both have broad access to the people’s data. In World 2, neither group has access. Those are the two ethical options. It’s just not ethically defensible to have a World in which researchers have broad access to people’s data, but the people do not. AJHG: What advice do you have for trainees? Barbara: If your job doesn’t excite you and make you feel useful most of the time, get another job. Risks work out more often than we are led to believe. Take them. You hold your talents in trust, and you have a fiduciary duty to shepherd your talents to a green pasture where they can thrive. AJHG: And for fun, tell us something about your life outside of the office. Barbara: It’s generally tranquil, but last year was anything but with Hurricane Harvey, 52 inches of rain, fences down, and administering a portfolio of family interests across Texas. The saving grace is the lack of speed limits on rural Texas highways and discovering—in the fullness of middle age—the joy of really fast cars. Barbara Evans, PhD, JD, LLM, is an Alumnae College Professor of Law and a Professor of Electrical and Computer Engineering at the University of Houston. As the year comes to an end, we thought it timely to reflect upon the Society’s many policy and advocacy accomplishments in 2017. First, with the help of members and approval by the Board, we established a new policy platform. It will provide direction for ASHG’s policy and advocacy activities for the next several years. This is essential for communicating our perspectives to lawmakers and other stakeholders. Early in the year, we took action to preserve the genetic privacy protections outlined by the Genetic Information Nondiscrimination Act (GINA). As strong supporters of GINA, we opposed the Preserving Employee Wellness Programs Act (H.R. 1313), a bill allowing employers to ask employees invasive questions about their and their families’ health, including genetic tests they may have undergone. We also encouraged members to contact their legislators and sign on to the ASHG opposition letter. More than 1,000 of you did so and it had a real impact: Our opposition to H.R. 1313 was widely reported in the media and since then, the bill has not moved forward in Congress. In addition, ASHG supported a $2 billion increase in funding for the National Institutes of Health (NIH). We have seen a $2 billion increase in the NIH budget for 2018 and we ask that Congress continue the progress we have made. As we all know, we need robust, predictable, and sustainable federal funding to fuel scientific advances. Currently, federal agencies are operating under a “continuing resolution” (CR) set to expire December 22. With the deadline fast approaching, Congress needs to pass another CR to keep the government running into the new year. More recently, we opposed any changes to the tax-exempt status of tuition waivers within the U.S. Congress tax bill called The Tax Cuts and Jobs Act (HR 1), as proposed by the House (but not the Senate). The House provision changed the tax-exemption status of tuition waivers commonly granted to graduate students, and taxing them would create financial hardship for individuals with already modest incomes. Thanks to the efforts of concerned members and other scientists, the final version of the tax bill does not include such a provision. Also, this year the Society released a position statement on germline genome editing. This statement is the latest in a series that the Society issues periodically on a range of genetics policy issues and uses of genetic information. Written by a workgroup led by Kelly Ormond and Doug Mortlock, and including perspectives and feedback from members, the statement gives the Society’s perspective on the use of CRISPR/Cas9 or similar tools to alter the genome of an embryo or germ cell. To help you learn more, share current policy information, and contact legislators directly, we also launched a new Advocacy Center. This site makes it easy for members to take action by sending customizable messages to Congress on important science policy issues, as well as learn when ASHG is speaking out and how to get involved. It links to ASHG statements, blogs, and press releases on pending genetics policy issues. ASHG is working hard to keep you informed and empower you to influence science policy. In the new year, it will take all of us becoming engaged to build on the Society’s advocacy progress in 2017. Derek Scholes, PhD, is Director of Science Policy at ASHG, and Jillian E. Galloway, MS, is a Science Policy Analyst at ASHG. Learn more about ASHG’s activities in Policy & Advocacy. 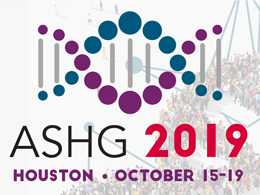 and share your thoughts on policy issues or ASHG’s efforts by emailing policy@ashg.org. As you may have heard, a bill called the Preserving Employee Wellness Programs Act (H.R.1313) was introduced last month in the U.S. House of Representatives. If passed, this bill would fundamentally undermine the privacy protections of the Genetic Information Nondiscrimination Act (GINA), a 2008 law ensuring (among other things) that a person can take a genetic test or volunteer to participate in genetic research without fear of having to share this information with their employer. This is an important protection within GINA: if employers can’t access their employees’ genetic information, they can’t discriminate on the basis of that information. Unfortunately, H.R.1313 would effectively repeal this protection by allowing employers to coerce employees into sharing their genetic test results or family history, or even to require them to undergo genetic testing. By undermining the Americans with Disabilities Act, the bill would also empower employers to require their employees to divulge other health information. Employees who decline to share their genetic and health information could be penalized thousands of dollars, such as through increased health insurance premiums. In order to stop H.R.1313 being passed, we must show Congress how strongly the genetics community opposes it and why GINA remains important to genetics research and medicine. To preserve GINA’s protections, we urge you to add your name to our geneticist sign-on letter opposing H.R.1313 by May 1. Over 800 genetics specialists have signed on so far. We plan to share this letter with Congress when the bill is next taken up for discussion. Call or email your members of Congress to urge them to oppose this bill. If you’ve never called an elected representative before, these tips may be useful. Spread the word about the bill and why you oppose it, such as by submitting a letter to your local paper. Our press release and list of news clips are a good place to start. Share our letter with your genetics colleagues and urge them to sign on as well. Derek Scholes, PhD, is ASHG’s Director of Science Policy. To get more involved in ASHG’s advocacy efforts, check out our Take Action page.